Trending! 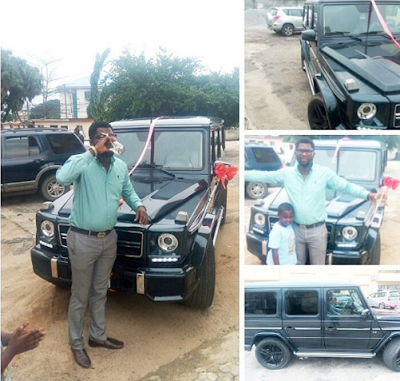 Rich Nigerian Woman gifts Hubby G-wagon to say sorry! Things are changing for for real! A lady reportedly just bought a new benz G-wagon as a gift to her hubby just to say sorry?! Imagine what she would buy when its his birthday?? Well we dont know the gravity of her sins or the offense committed she just simply told the delivery company to deliver the ride with a Note which read "I am Sorry" Isnt he one of the luckiest dudes ever?! G-Wagon has been trending for abit on twitter now people are suprised at the turn of tables as its the woman that probably usually gets such gifts..